Spring break is so over. 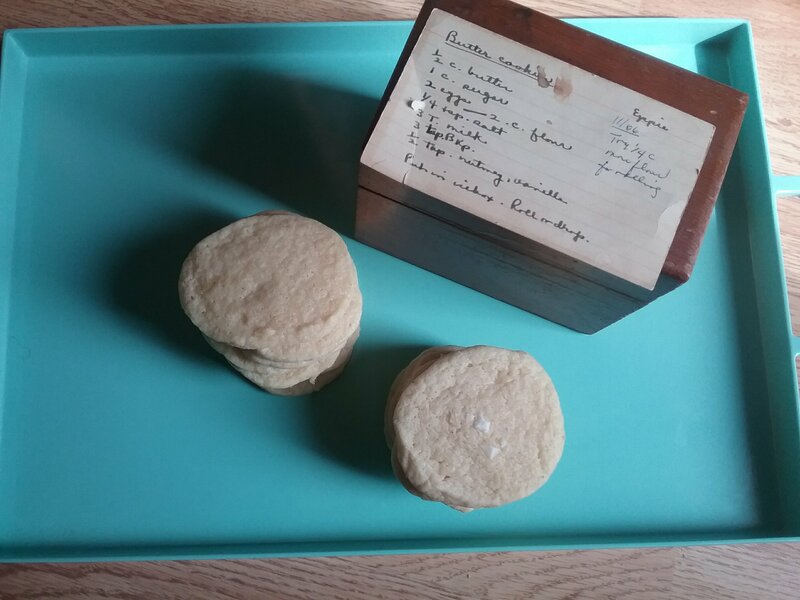 A week of r& r at the in-laws–complete with far more DIY marshmallows consumed than recommended–was lovely, but this week it’s back to that real world and all its ensuing insanity. Cue the crazy. Which put me at the intersection of Nothing Prepared and No New Ideas when time came to write this week’s post. So I’ll fall back on a now time-honored tradition of repeating myself, visiting my work elsewhere in the blogsphere. Immediately upon opening the liquor cabinet, out fell a small paperback volume I don’t remember seeing before. 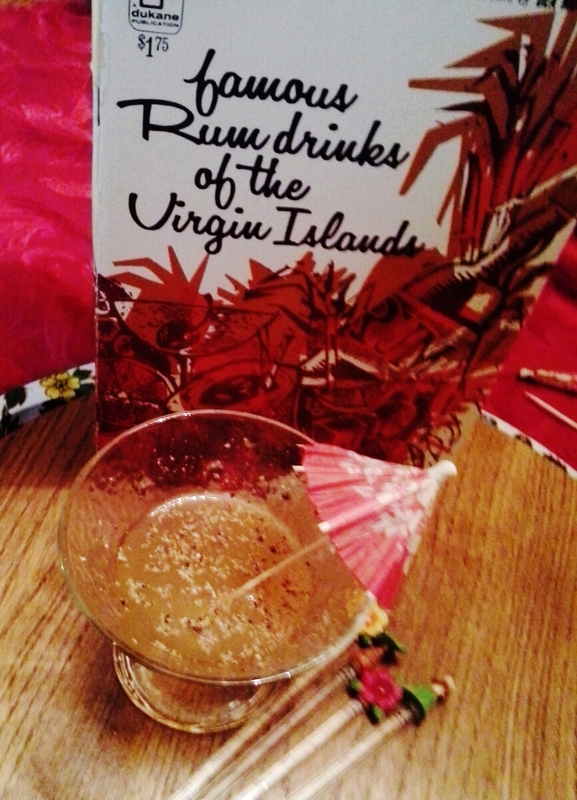 Famous Rum Drinks of the Virgin Islands is all of 32 pages and was penned by a Ms Dea Murray as a collection of drinks from “famous hotels, restaurants & bars.” Drowning in red, brown, gold, and harvest orange glory, it could only be a garage sale find. Yet its appearance rang no bells. That said, it fell out of my liquor cabinet–reason enough to thumb through. Bluebeard’s Wench called for blue curaco, which is not on my shelf. Same story Hurricane Buster. Old Fashioned Voodoo would be mine if only I had guava juice. Swashbuckler called for Champagne and Coco Loco requires the purchase of coconut cream. Clearly I need a better pantry for this book. 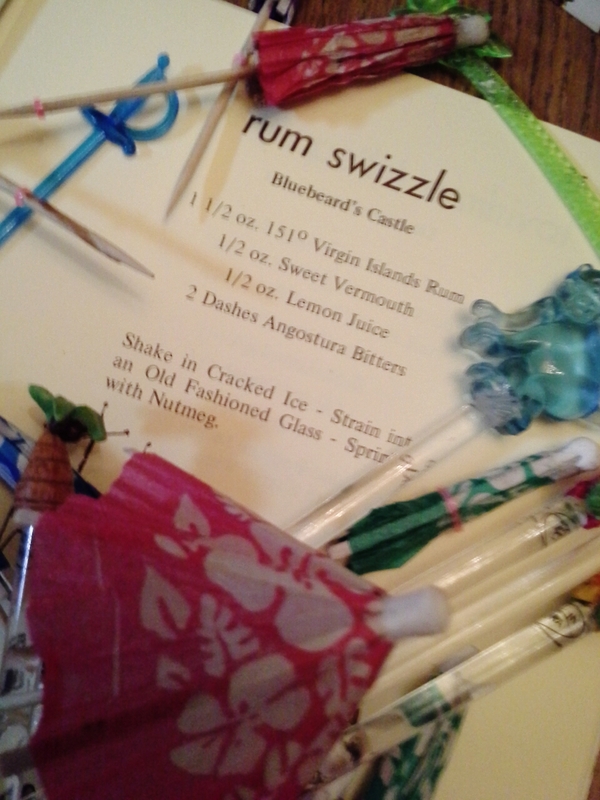 Fortunately, Rum Swizzle met me where I was at. 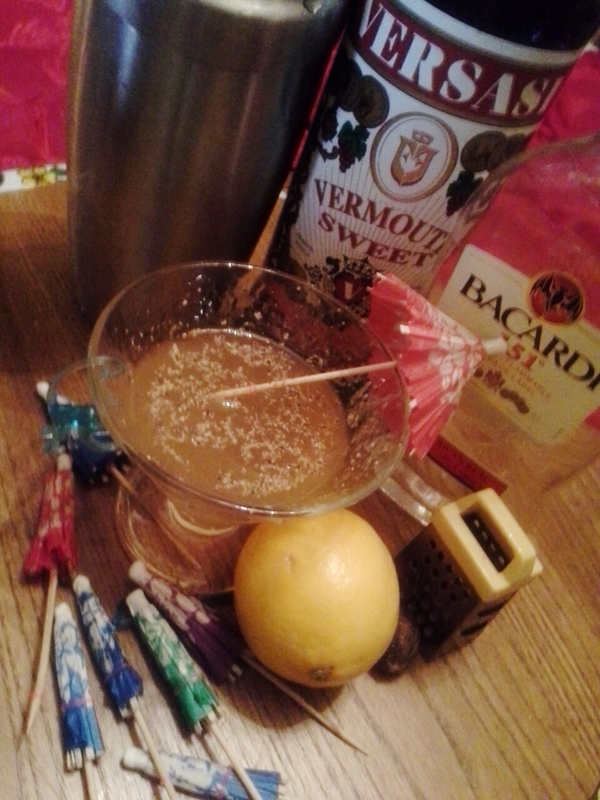 Out came the rum, sweet vermouth, lemon, bitters, and fresh nutmeg. Though not a big fan of rum, I like what it stands for: warm sand and sun, island breezes, tropical tunes. The resulting sipper was bracingly tart and could’ve stood a bit more sweet, but it won me over by being both assertive and classy. 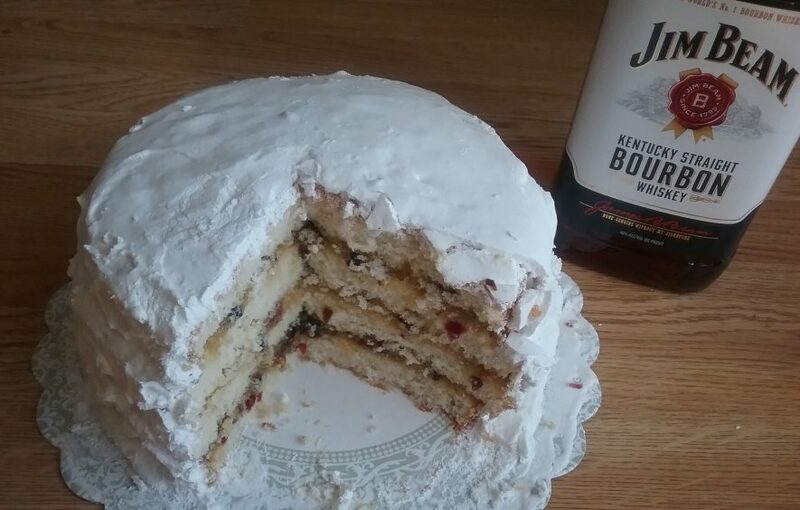 A newly purchased thrift-store cocktail glass made the project even more fun. So what if it’s only 33°F outside? I have rum in my cocktail. Our winter may not be over quite yet, but the mercury climbs slowly and surely a tropical rum cocktail can help push things in the right direction. So here’s to seeing the backside of winter. Here’s to garage sale finds–remembered or no. And here’s to the busy-ness of life. May it all be great fun as often as it can. Cheers!